Inspired by Franki and Mary Lee over at A Year of Reading, I decided to start my own 100 Things About Me as a Reader list. It will have to be a work in progress, but now is as good a time as any to get started. 1. A reading goal is still motivating to me. 2. I used to keep track of every book title and author I read as a child. I probably shouldn’t admit that I would start copying the list over again if it got messy. What can I say. I wasn’t allowed much tv as a child. 3. The Betsy-Tacy books are ones I could buy over and over again with new covers. 4. I often think about characters or books many years after I have read them. 5. I really don’t enjoy nonfiction unless it’s professional work related. 6. I read every biography in my school and public library more times than I can count, but now can’t think of the last time I read a biography. 7. I dream of going on literary themed vacations. Just typing Betsy & Tacy makes me want to start researching trips to Minnesota to see the homes. 8. My first bedroom had been my father’s study. It was lined from floor to ceiling with books on all walls. 9. My father just finished writing his first book. It grew out of his research that he did back when I was in that nursery. 10. 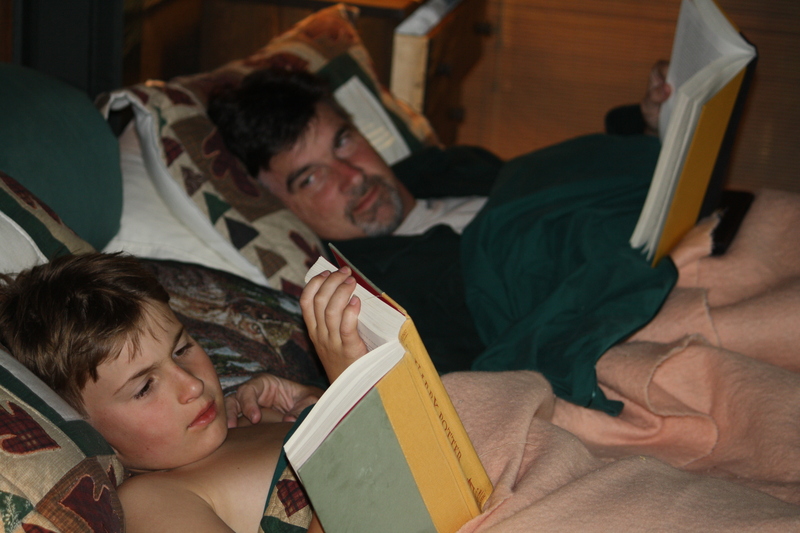 There is something so cozy about reading aloud to my son, that I used to fall asleep in the middle of the book. He’d wake me up when I started reading nonsense. 11. I love audiobooks because it feels like I’m sneaking a quick reading break in when there is no time for quick reading breaks. 12. I’m trying to figure out how I can reread Harry Potter #7 before the movie comes out. I’m not sure I want to see it until I do. 13. My husband and I love many of the same books, but there are others that each of us read that the other can’t even stand to think about reading. 14. I love nothing more than helping a child find a book to read that they love. There’s no better thrill in the world. This series is a prequel to Mortal Instruments and takes place in 19th century London. In an interview you can see on Amazon, Cassandra Clare is seen talking about the year she spent researching by reading books set in Victorian England and taking several trips to London. It is certainly reflected in the setting of the book! While checking links on this review, I very happily discovered that the cover for Book 4 of The Mortal Instruments will be released December 2010, with a book release April 2011. I mistakenly thought The Mortal Instruments was a trilogy. Who knew there was going to be another book in the Mortal Instruments series, much less a 5th and 6th!? I also found a Publisher’s Weekly Article I had missed. Happy news! I happen to love the Mortal Instrument inspired jewelry on Etsy that I found through a link on Cassandra Clare’s blog or website. In Clockwork Angel, the main character Tessa Gray, has traveled to England to meet up with her brother. She is unwittingly kidnapped by the Dark Sisters, an evil of an unknown variety. Against her will , the sisters begin to teach Tesaa about her power-one she never knew or suspected. She can transform into another person. The Dark Sisters are intent on Tessa perfecting her power, so she can be married to The Magister. Much to Tessa’s good fortune, she is rescued by Shadowhunters, Will and Jem and through their protection, is rescued from the Dark Sisters. England is not what she thought it would be, and Tessa finds herself reliant on the protection that Will and James are able to provide her through The Institute. The other occupants, Charlotte Branwell, Jessamine Lovelace, Henry, and others all become key to Tessa learning who she is and what she is capable of. 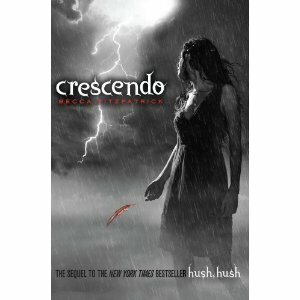 As the group work together to try to find Tessa’s brother and to get to the bottom of Dark Sisters, The Magister and The Club, Tessa finds herself torn between James, the handsome warrior who keeps a dark secret and appears physcially fragile on occassion and Will, angry, unpredictable, and extremely handsome. I loved seeing a few characters from the Mortal Instrument Series are blended into the story. It was like coming across an old friend and learning even more about them. Mundanes, Nephilim, Vampires, Warlocks. This book has it all in a breathtaking adventure story. 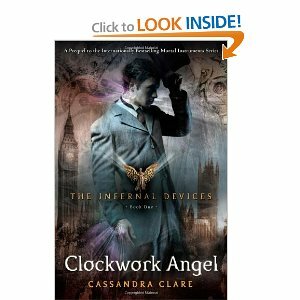 Don’t wait, go read Book One of The Infernal Devices for yourself! If you haven’t checked out Maggie Stiefvater’s blog or her companion site The Wolves of Mercy Falls, you are missing out. If you haven’t read Linger, or Shiver, you are missing out. Don’t be that reader that has to plug her ears when everyone else is talking about Forever, the third book, because you are still on number one in the series. Check out her blog and find out how fabulous author Maggie Stiefvater ended up talking to NASA recently! I’m trying to think if I have any photos of him reading. If I can’t find one, I’ll be sneaking around trying to capture a few. Please read James’ post and send in your photos! The Cardturner first hit my radar at ALA. I received a review copy of the first couple chapters and I found the cover intriguing as well as the first couple chapter titles. Finding the book in my local library on audiobook was a recent happy find. Every other Saturday I drive an hour one way to grad class. Audiobooks help make the time more enjoyable. When I first put in The Cardturner, I have to admit I had a healthy dose of skeptism. I have to admit that if I’d had another audiobook or wasn’t starting an hour drive at 7 am on a Saturday morning, I might have turned it off. That would have been a mistake! What led to my initial reaction? First, the author narrates the book, and I wasn’t too sure at first about Louis Sachar’s voice being the right choice for audio. I really like his other books though, so I decided to try to get over it. Second, The book starts with an author’s note, while very witty, also made me feel skeptical about the book. Did I really want to read a book about the card game Bridge? I’ve never played it. I don’t know anything about it. I couldn’t imagine there was enough to fill a book about that would hold my attention. Good thing for me, there was no turning back. 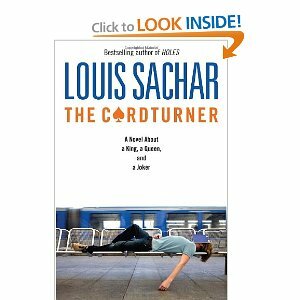 The Cardturner is a great story of Alton Richards, a teenager who doesn’t have too much going for him. His parents don’t seem to have very many positive interactions with him, but despite this, he does not turn into “angry teen” or “misunderstood teen”. This was a nice change of pace in a contemporary young adult book. In an attempt to procure some of his wealthy uncle’s money for the family, Alton’s mother volunteers him to be his uncle’s cardturner for a card game. Uncle Lester is gruff, terse, wealthy, and blind. She doesn’t bother to mention that the card turning is not just for a single game, but multiple times a week. For the whole summer. Through Alton’s cardturning for his Uncle Lester, the reader learns about the card game Bridge, just as Alton does: one card at a time. Much to Alton’s initial disbelief, his uncle Lester can play the game as well as he did before he became blind just by Alton reading the hand he is dealt to him at the beginning and then playing the cards instructed to him. I have to admit that I became pretty intrigued by the idea of Bridge as a pairs game. Why don’t people play more cards? Do I know anyone who plays Bridge? How does one go about learning to play? Could I have friends over to play Bridge or some other card game and have it be fun for all? Hmmm…. In addition to the unfolding relationship between Alton and his uncle Lester, I also really enjoyed Alton’s relationship with his younger sister. Once again, it was refreshing to have such a positive brother-sister relationship portrayed without it being any big deal. Eleven year old sister, sixteen year old brother. Not usually a relationship that includes helping each other, playing cards together, and an unspoken alliance to survive their dysfunctional parents. Alton’s friend Cliff and new friend Tony, also are realistic relationships that Sachar does a wonderful job of developing. I kept being reminded of Richard Peck’s Grandma Dowdel. I even typed Peck’s name a few times in place of Sachar’s and had to watch myself for that oversight. The age difference between characters, the back story that is revealed about uncle Lester, all is reminisent of the storytelling variety found in A Long Way from Chicago. I think this book might make a fun read aloud, with time spent actually trying out some of the card hands Alton learns. I also think it would be big fun to make the foghorn sound whenever the reader got the whale symbol in the book, indicating the reader is coming to a part that might be difficult to understand, as it is mostly “bridge jibberish” (Alton’s words) explained in detail. A nice summary box comes right after, allowing the reader to choose to skip the “jibberish” if it’s not to their liking and still be able to understand the story. Overall a great contemporary young adult story that I highly recommend. I’m wracking my brain and this is all I’m coming up with? We even had a book fair and I went to the library! I had a blast helping at the Book Fair Family Night, trying to help kids and their parents find just the right book. I guess last week’s books and recent new releases are still not finished. Guess I should go read, rather than blog. School Library Journal has a write-up. The comments are longer than the article. I’m not quite sure what I think about the book. I have it, bought it before I knew it ended with the word Jackass. Thought the illustrations were cute and usually like what Lane Smith has to offer.